You may have a service connected condition that should be compensated, but do you have the staff and writing skills to get the job done? You can submit doctor's letter, doctor's progress notes an Disability Benefits Questionnaires (DBQ) as documentation. Rightardia recommends using the DBQ whenever possible. You may want to write a draft letter for the doctors consideration that uses VA terminology. For example, the VA wants to to see a medical conditions as more likely than not service connected. Many vets make the mistake of trying to get compensated for every malady they have. Rightrdia has read the average vet files 20 claims. Now if you are filing for hearing loss, bursitis, diabetes melllitis, a back condition, flat feet, knee damage and other unrelated conditions, its like throwing mud balls against a wall and hoping some will stick. The VA has a term for this: piling on. It's much better to file with primary conditions relating to secondary. For example, if you caught St. Louis encephalitis while in the service, you may be able relate that to the secondary conditions of high or low frequency hearing loss, tinnitus, and complex sleep apnea. In this case you are filing for one primary condition and three secondary related conditions. Peruse the Disability Conditions (DC) in 38 CFR, Part 3 before you file. Don't waste time filing for three 10 per cent conditions when you may meet the 30 per cent criteria for sleep apnea. The trick is to tie your medical conditions to your service military records (SMR). Here you will need doctors opinions. You want board certified physicians on you team and you must indicate the doctors have reviewed your SMRs. You may have to go the the Board of Veteran Appeals (BVA) to get some of your conditions service connected. Her is a sample letter you can use as a template. I am Mr/Ms ___________'s primary care physician and he/she has been a patient here for several years. I have reviewed his military service records. Mr/Ms ________ contacted _______________________________ on (date). A subsequent MRI indicated he had an _______________. After further testing he was diagnosed with ________________ with the related (secondary ) conditions of _____________________________. The __________(primary condition)_________ was the likely causal factor in the related secondary conditions of _________, _______________ and ______________. In addition, the ___(primary condition) ___ can lead to _______________. He also has chronic ______________ outbreaks and takes ________________ as required that I prescribe for him. Mr/Ms ___________________ was hospitalized at _______________ in (date) for an ____________________ and he suffered a _______________ while he was in the hospital. I receive correspondence from a team of doctors that care for Mr/Ms _________ on a recurring basis: an endocrinologist, a neurologist, a cardiologist, an otolaryngologist, an ENT and a urologist. He undergoes extensive blood lab work for his _________________ every 90-days. Mr/Ms ___________________ has not worked for many years and his multiple medical disabilities are permanent and chronic. He/She is disabled, immuno-supressed, vulnerable to infection and to another ________________. His condition had deteriorated after the last hospitalization that more likely than not caused his/her ___________. He has no prospects for improvement. He is permanently and totally disabled. He has near constant debilitating symptoms from the ____________. In particular, the __________________ would preclude employment. After nearly six years, a VA claim was resolved to the major's satisfaction. This was after a Decision Review Officer review, a reconsideration and two remands, working on the third. What did the major learn along the way? In the long run, you may be better off pro se than using a service organization like the DAV or AMVETS. However,you will have to read some books first, be computer literate and also have an Internet connection. If you are not inclined to do the preceding, use one of the service organizations. 1. Veterans Administration Claims: What You Need to Know to Be Successful by Asknod. There are also numerous articles on the disability claim process in the Rightardia blog. You can use either MS Word or Libre office (Open Office) to prepare claims documentation. If you use the latter, install the Language Tool add on which provides a grammar checker that is equivalent to the one in MS Word. When you are ready, you can file the initial claim online, using VONAPP: http://vabenefits.vba.va.gov/vonapp. Why? Because the claim will be weak and unsubstantiated without documentation from you military service records. If you cannot document your condition with evidence that is in your military service records, you are not likely to be successful with your claim. Ir should be clear by now why being computer literate with an Internet connection is essential for a pro se claim. The VA DBQs are Acrobat pdf files which can be filled out and printed, but not saved. The major spent about $100 on a program called PDF Nitro. It allows a user to edit, save and even compile Acrobat documents. You can also convert the documents into Word and Excel docs. If you plan to submit DBQs, you will need a program like this. Many doctors are conservative and view the VA as an unnecessary welfare program. Interview a new doctor and feel them out on their willingness to help. If they won't, find another doctor. You will need doctors who are your advocate. You will need a primary care doctor and one or more specialists. You want all of them to be board certified. You also wants the physicians to indicate they have reviewed your SMRs in any letters or DBQs. The major's team included a primary care doctor, a cardiologist, a neurologist, a psychologist and an endocrinologist. During the claim, he replaced two endocrinologists and one neurologist. You can mail in a DBQ and the doctor's letter to the VA. Another way is to take the documents to the nearest VARO Veteran Center. The vet center will add the submission to your claim file (c-file) and put a date time stamp on it. You can also talk to a VA counselor while you are there. Watch out for Compensation and Pension clinicians. Once you have submitted the claim, you may be scheduled for a compensation and pension (C&P) exams. Many of the C&P examiners are not doctors, but Physician Assistants and Nurse Practitioners. Rightardia suggests you insist upon a doctor if C&P calls you. 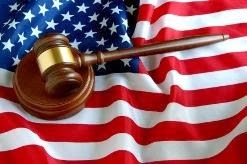 The RVSR is a primary decision maker of the outcome of your claim for VA disability compensation benefits. However, if you have provided compelling evidence in a DBQ, it may preclude a C&P exam. Try to avoid a C&P exam if at all possible. These clinicians are not your friend. Originally, the C&P doctors we authorized to assist people who lacked medical care. 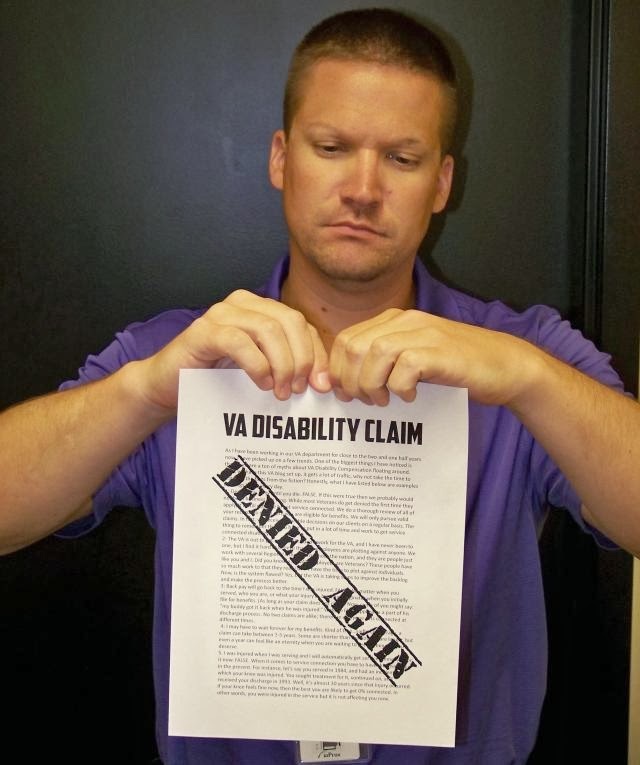 Now, the VA tires to use them to see all vets with claims The DAV indicates DBQ may preclude a C&P exam. This is another reason to use a DBQ. If you get a bad C&P exam, you have some options. You can get the C&P progress notes after the exam from the FOIA office and write a rebuttal. Errors of commission are not common, but errors of omission are very likely. Write a rebuttal and submit it to the service center. You can also Rizzo the physician and challenge his or her credentials if the C&P exam is really substandard . You can do this years before a BVA appeal and if the VARO forgets to defend the physician's credentials, his or her physical or progress notes cannot be used in the BVA decision. The first time the major rizzoed a C&P physician, the VARO asked him if he wanted to be serviced at another hospital. This was baloney because the C&P doctors are not part of the local VA Medical Center. In addition the local VARO supported both hospitals so it would have been pointless to change hospitals. It is likely the initial claim will not be approved by the VARO. if you have a well grounded claim, appeal to the BVA for a review by an administrative law judge. The law judge has very different perspective than RSVRS who use a VA directive. The law judges considers the VA law in USC 38. These judges are also aware of the US Court of Veteran Appeals (USCAVC) precedent rulings that the VAROs usually ignore. The BVA may declare a condition the VARO has denied as service connected. This will result in a remand that will force the VARO to rate a condition it previously denied. You may want to engage an attorney to represent you during the BVA hearing. Be aware the attorney will receive 20 per cent of any subsequent award. 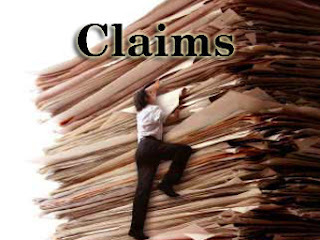 One of the favorite ploys of a VARO is to say a claimant has not provided new evidence. The major suggests you can get new evidence whenever you visit one of you doctors. Although you may want to give the VA access to your doctor's records in the initial stages of a claim, in the long run this is a bad idea because your c-file will get huge. You also want to filter any data first that goes to the VARO. It's better to get the progress notes after a visit, review the notes and the carry the relevant notes to the vet center. When the major finally received a Statement of Case, he had references in it to three pages of his documentation. So document, document and document! Is summary, consider going pros se on the claim because you will have a better chance of your claim succeeding. You will need to be computer literate with Internet access. if you are not, use one of the service organizations like the DAV. Assemble a strong team of physicians who are your advocates. If a doctor won't help you, find one who will. Expect to have the claim denied by the VARO. If the claim is well documented, appeal to the Board of Veteran Appeals (BVA). Consider hiring an attorney to represent you in the BVA hearing. The judge is attorney and the VA also has an attorney consul at the hearing.